Successful Bid for CIF Funding! On the last day of term, one of our academy clients received excellent news: Government funding has been granted for the construction of two permanent build new classrooms. 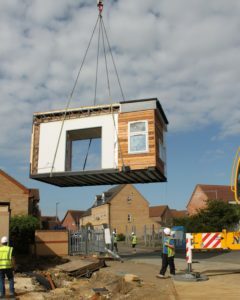 These will replace an aging 2-class modular unit, and will form part of a large site development project which is currently under construction. One of the services we offer is the preparation of CIF (Condition Improvement Fund) bids for academies and sixth form colleges for capital works. Bids can be made for projects such as new roofing, heating systems, windows and doors, and also for capital projects such as replacement or refurbishment of classrooms. Bids to the Condition Improvement Fund are always over-subscribed and the priority is to address significant condition need, and particularly to maintain safe and healthy school sites. A strong case has to be made to the Education & Skills Funding Agency to guarantee success. The next round of CIF bid funding for 2019/20 projects should take place this autumn, but we can offer advice on how we can assist with your bid year round. If you are an academy or sixth form college, please get in touch for further information. 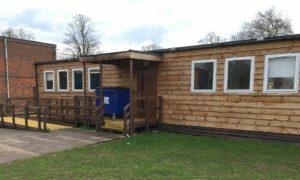 This entry was posted in Bedfordshire, CIF, CIF Bid, classroom, construction, development, School Construction on April 6, 2018 by admin. We reached an important milestone last week when members of our team made the first site visit to a new development project at Henlow Academy in Bedfordshire. 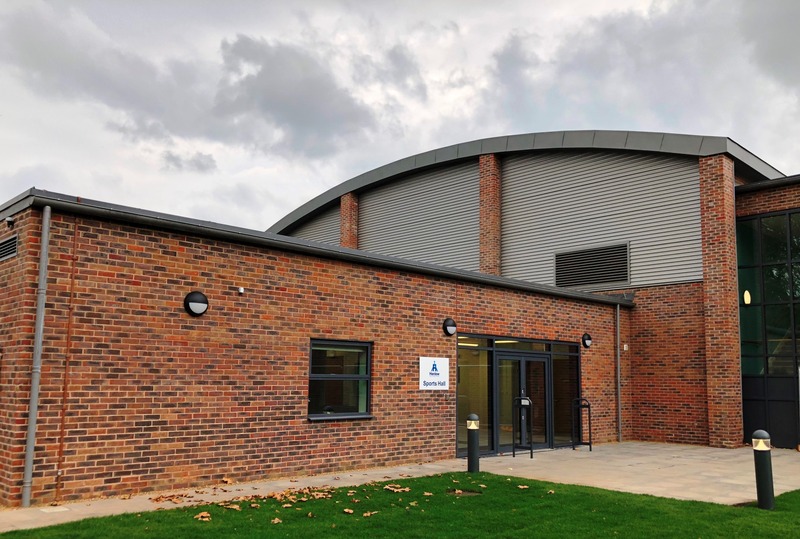 This is following our successful application to Central Bedfordshire Council for planning permission on behalf of the Academy, to a building design we had produced. Construction has begun on a four-court sports hall and new classrooms, which will form the cornerstone of a larger site development project. We have already overseen the construction of a link extension and internal alterations to the main building in 2017, but the Academy will benefit still further from the latest increase in sports provision and additional teaching space. 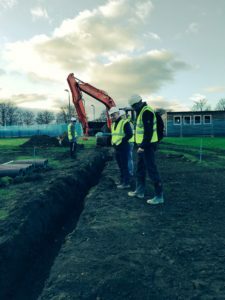 The principal contractor, Borras Construction, has made a start on foundation trenches with the first inspection completed by Central Bedfordshire Council Building Control. We are looking forward to seeing progress as we oversee the construction throughout the nine month build period. This entry was posted in Central Bedfordshire Council, classroom, construction, contract administration, design, development, Henlow Academy, planning permission, project management, School Construction, school extension on January 9, 2018 by admin. We have recently completed our second project on the site of St Mary’s Catholic Primary School in Caddington. The school was seeking to provide extra accommodation for some of the pupils as a break-out space. 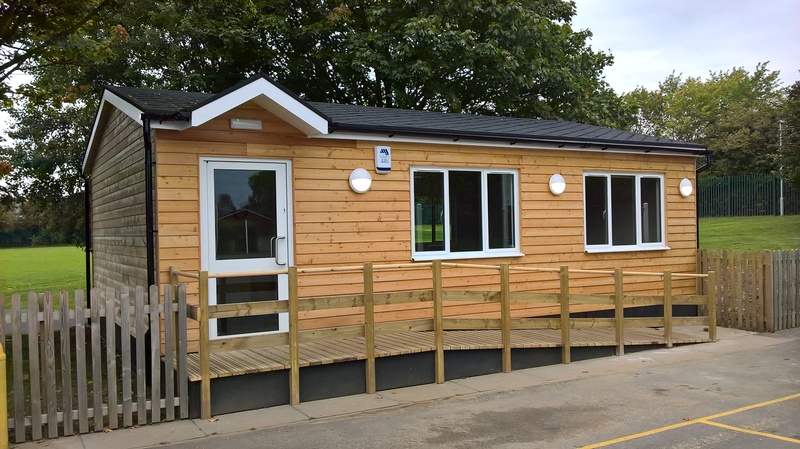 Our suggestion was a neat single classroom unit in the form of a timber lodge, with a simple internal space suitable for teaching smaller groups. 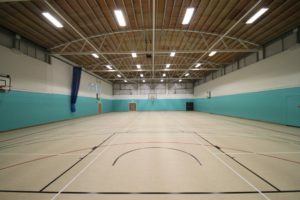 Fit-out costs were kept to a minimum, and the building is kept warm with electric storage heaters, avoiding the need for expensive service connections. In addition, the lodge is environmentally-friendly with the use of a timber frame, cladding and recycled building products, as well as low energy lighting. Construction firm JET Construction were respectful and efficient, as well as accommodating last minute requests from the client, creating a well-finished learning environment. 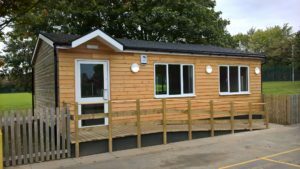 The school is delighted with the new lodge building, and is already seeing the benefits of having the extra independent classroom space. This entry was posted in Bedfordshire, classroom, construction, design, School Construction, school extension, School Meeting Room on October 27, 2017 by admin. 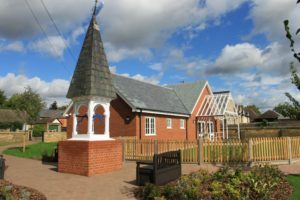 Parents and children were invited along to attend the official opening of a brand new pre-school building, which has just completed on the site of Clophill St Mary’s Lower School in Bedfordshire. PCMS Design has been involved in this project since its inception, working together with the school governors and management team on the design, planning application process, specification, tendering and finally the contract administration of the build. 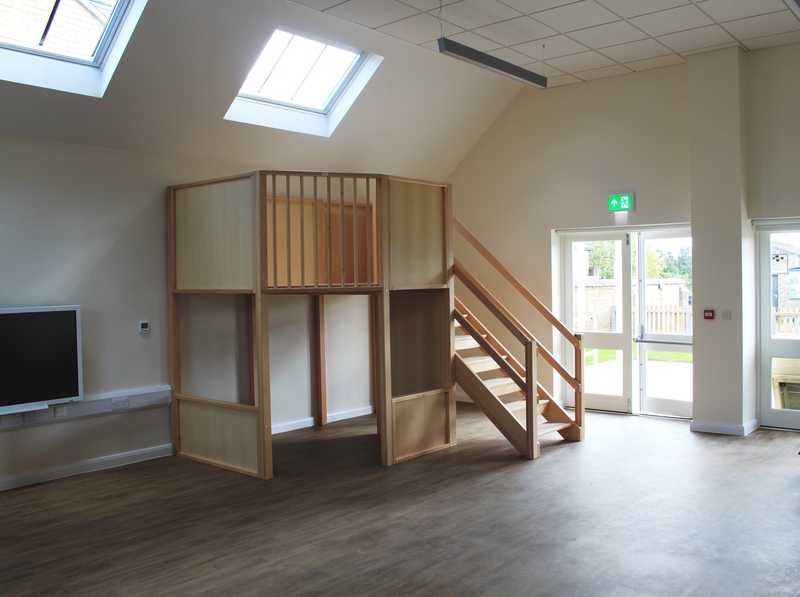 There is a large bright playroom with kitchenette, plus a small admin area with office and store room. 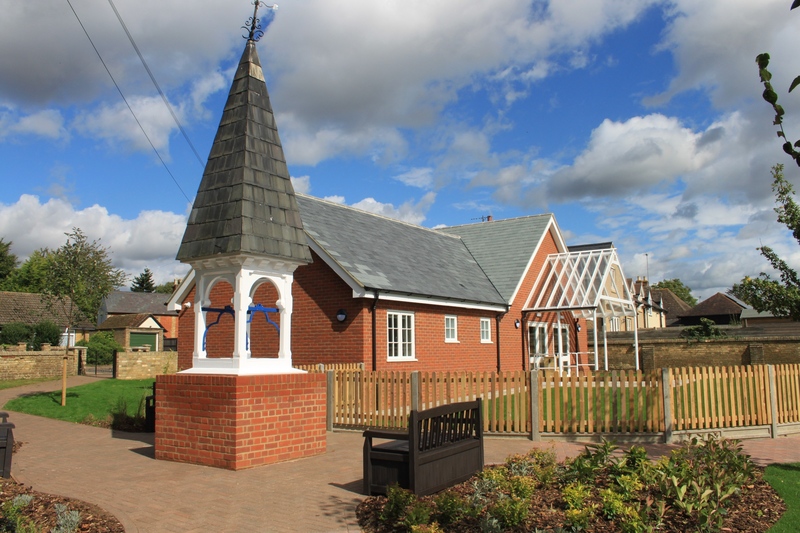 As the pre-school is on the site of a former Victorian school building, the design reflects some of those features with brick elevations and a slate roof, and tall feature windows at the end of the play room. The official opening ceremony was attended by the Bishop of Bedford the Rt Revd Richard Atkinson, and staff are now preparing for the first wave of pre-schoolers. 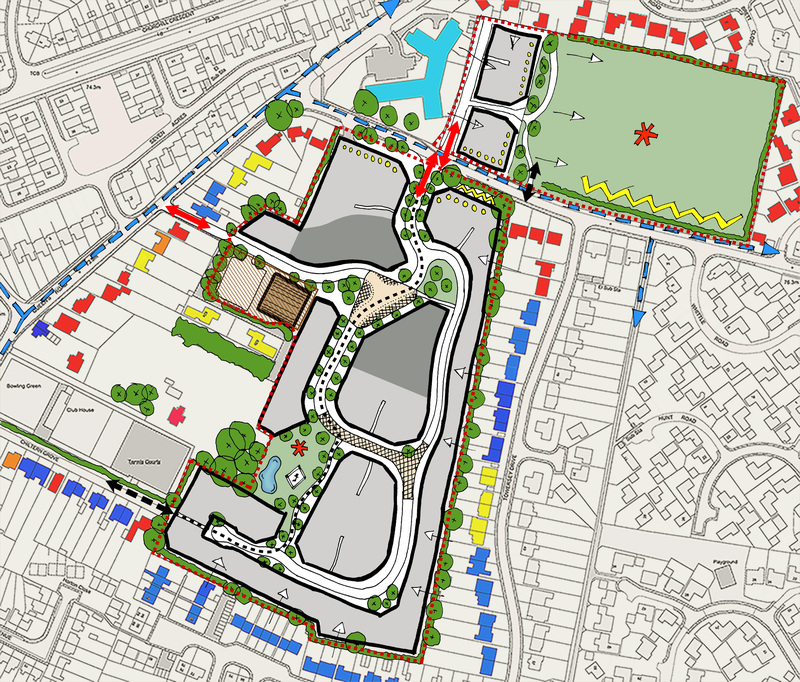 This entry was posted in Bedfordshire, Central Bedfordshire Council, classroom, construction, design, development, Early Year's, extension, project management, School Construction, school extension on September 22, 2017 by admin. 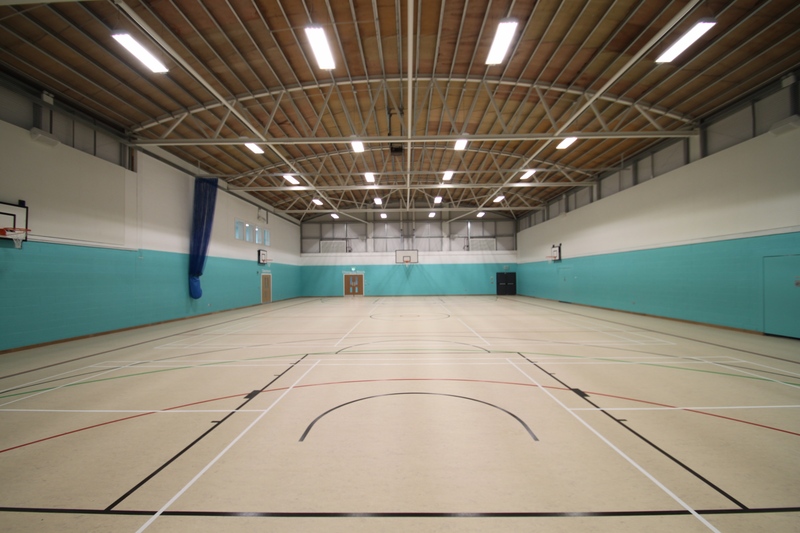 Following months of preparation, our team was very pleased yesterday when Central Bedfordshire Council’s Development Management Committee granted planning permission for the construction of a four-court sports hall with associated changing rooms, and also six new classrooms over two storeys at Henlow Academy in Bedfordshire. This is a notable achievement for the Academy, which is seeking additional space to accommodate a temporary increase in pupil numbers over the next 3-4 years. 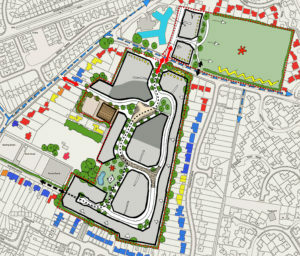 It means that Phase II of the Academy’s site development programme can now go ahead. Phase I, which included a new link corridor and refurbishment works to several classrooms, was carried out this summer. 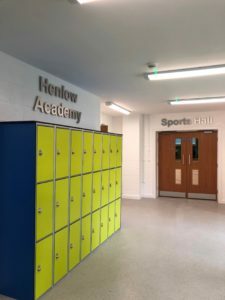 In addition to the sports hall, which will allow the Academy to substantially expand the range of sports on offer to pupils and the wider community, there will be improvements to the on-site car park, school bus bays and nearby public highway. We are now looking forward to working with the Academy on the project management of the next stages, with a view to the classrooms being in operation for the 2018 academic year. 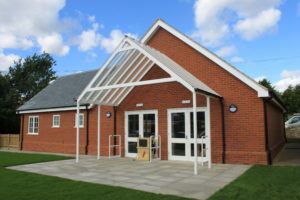 This entry was posted in car park, CBC, Central Bedfordshire Council, design, development, extension, Henlow Academy, planning consent, planning permission, project management, renovation, School Construction, school extension, School Refurbishment, Sports Hall on September 14, 2017 by admin.